How could I say no when my good friend Anil asked me over the phone if I was game for the best briyani in Singapore outside of the Middle East? That's a bold statement on any accord. In a place like Singapore which is practically surrounded by many food havens that serve briyani, it is truly a tough fight to be one of the best. 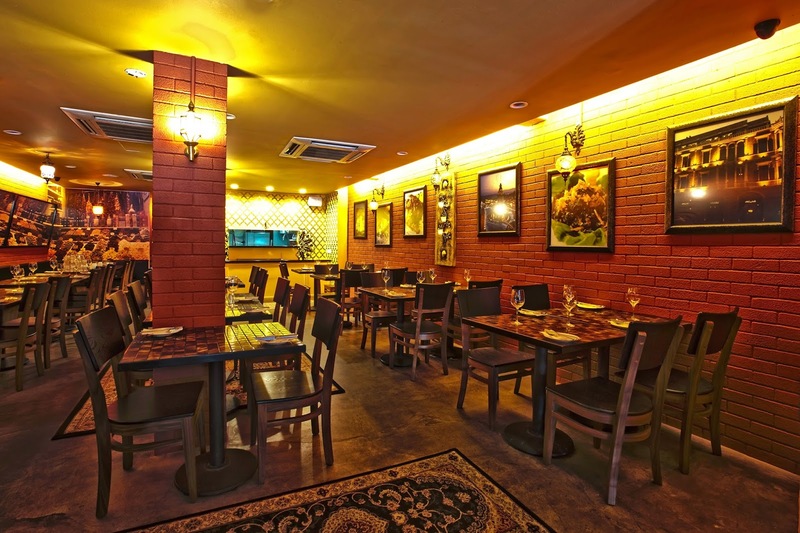 I found myself making my journey to Greenwood Avenue, a dining enclave for all food lovers. Levant is the brainchild of Suresh Menon, a food & beverage industry veteran with 25 years of experience, and Hany Moustafa who heads the culinary team with 14 years behind him. Suresh's time in the industry was spent in top tier hospitality establishments from 5-star hotels to heading a large team in managing a chain of Persian eateries. Chef Hany spent his years all across Asia, most notably with the Hatam Group of Restaurants in Dubai and brings with him a wealth of knowledge and skill in middle eastern cuisine. They met while Suresh was providing consultancy services and after a chat, both decided that it was time to venture into their own business and thus this partnership. Unfortunately I depended on Google Maps to find my way around. A straight bus to the said location turned out to be a 1.9 kilometer walk that took me on a tour around a posh estate. Fun fact. Did you know President Tony Tan lives in the neighbourhood? Yes he does! That dreadful walk finally led me to Levant, which means 'the sun rises in the east'. I left my house hungry but that walk made me hungrier! I was game for the best briyani in Singapore and there was no way I was leaving disappointed. The chef was warned that a hungry and disappointed Noel Boyd is worse than a charging bull. The entrance of Levant. You can't miss it! The Lamb Shank Briyani was amazing! This isn't your usual Indian stall briyani mind you. At Levant, a whole lamb shank is stewed to perfection and served with the highest quality biryani rice cooked in authentic Middle Eastern fashion and Ghormeh Sabzi which is a slow-cooked stew of mixed vegetables and herbs. Oh my lord it was so good! From the rice grains to the tenderness of the lamb, my mouth and beer infused tummy was in briyani heaven. Their briyani isn't heavy on the stomach too. The good people at Levant use saffron and many other top quality spices for their briyani. Little do people know that this is one of the most ingredients. You'll be glad to know chef Hany doesn't stinge on it. I apologize for jumping right into the Lamb Shank Briyani. I usually like a good build up to a story so please forgive me. Alright, let me talk about the rest of the dishes we had. Mixed Appetiser Platter (Hummus, Moutabal, Taboula and Green Salad) - I personally loved the Moutabal. This roasted eggplant dip is something I can eat with just about anything other than fruits since I don't eat fruits to begin with. Kebab Koobideh (a traditional kebab made of minced lamb) and Chicken Yogurt Kebab - This is to die for! The Chicken Yogurt Kebab was amazing. Even when I was sitting there bloated with food, I kept eating. It is that good! 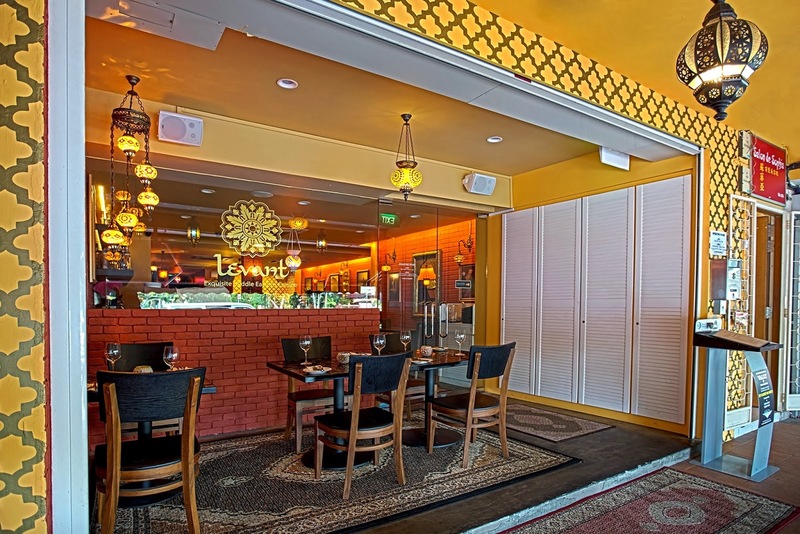 I urge anyone that wants a taste of the Middle East to dine at Levant. Outstanding food by chef Hany, authentic ambiance and commendable service by Suresh will leave you wanting more. And hey, they have a belly dancing performance over the weekend too. It isn't Middle Eastern without belly dancing! Reservations can be made at 9640 4866 or reservations@levant.com.sg.